Teeth in 72 Hr.Teeth in 72 Hr. 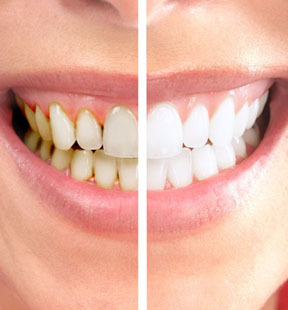 In-office bleaching provides the quickest way to whiten teeth. With in-office bleaching, the whitening product is applied directly to the teeth. These products can be used in combination with heat, a special light, or a laser. Results are seen in only one, 30- to 60-minute treatment. But to achieve dramatic results, several appointments are usually needed. It is accomplished by wearing a custom made tray filled with prescribed whitening gel for few hours over a period of several days allowing for a gradual and slower whitening of teeth. Dr Robin’s best dental clinic in Ahmedabad is a super speciality hospital provides the latest dental treatment in Ahmedabad from dental cleaning to Advance cosmetic dentistry using State-of-the-art dental instruments by a well-trained dentist.